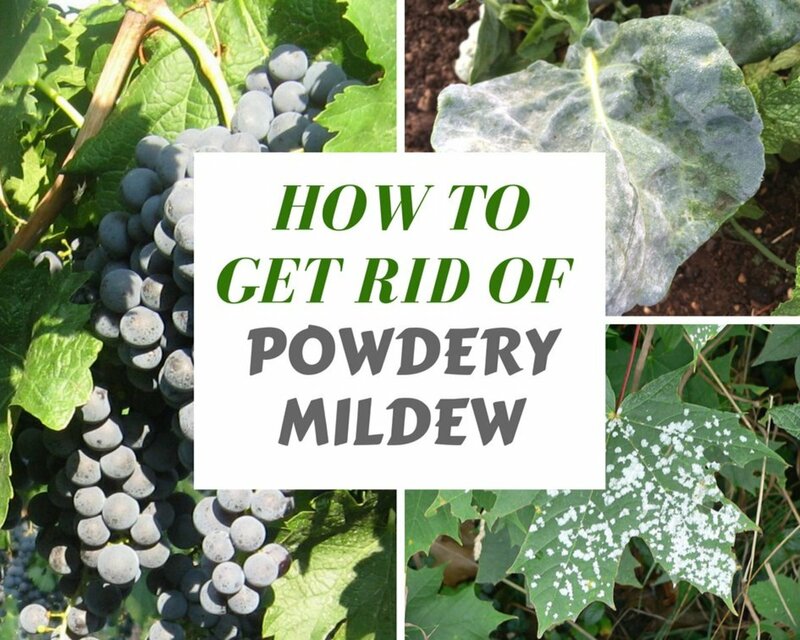 A great way to keep your garden healthy and free of insect pests is to rotate your crops every year so that pests will not infest any one area of your garden. This technique cannot be used for perennial crops like asparagus which remain in the same spot for decades. For these plants, you need to be attentive and creative to prevent both types of beetle that feast on them. Common asparagus beetles are tiny, only ¼ inch long. They are bluish black with six cream colored spots on their backs. They feed exclusively on asparagus. The adults feed on the foliage of the asparagus, stripping the needle-like leaves from the stems. Without their leaves, asparagus plants cannot photosynthesize sunlight and they die. They also feed on the young spears as well as lay their eggs on them. The eggs take only a week to hatch into larvae which are gray with distinctive black heads. 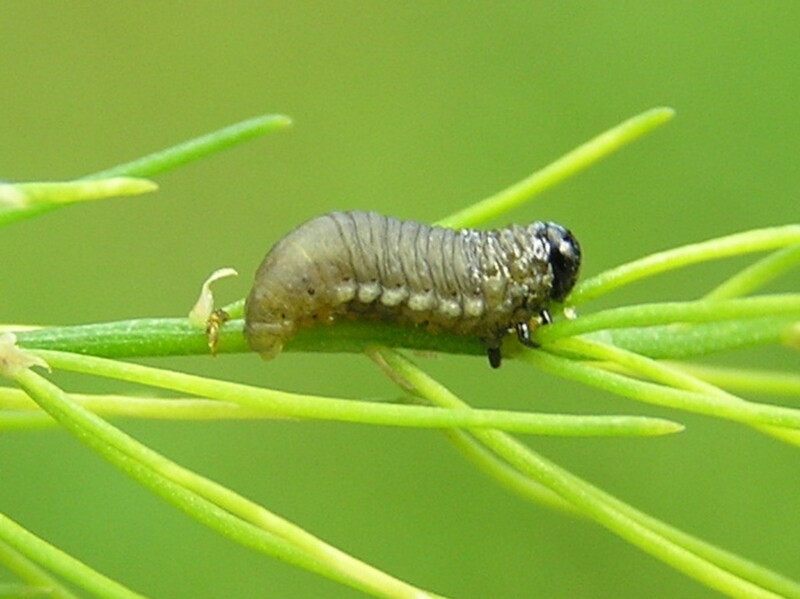 The larvae feed on the foliage for two weeks before dropping to the ground to pupate for a week into adults. In most areas, there are two or three generations of beetles before the adults burrow underground or into dead plant material to hibernate over the winter. In warmer areas, there can be five generations in one growing season. 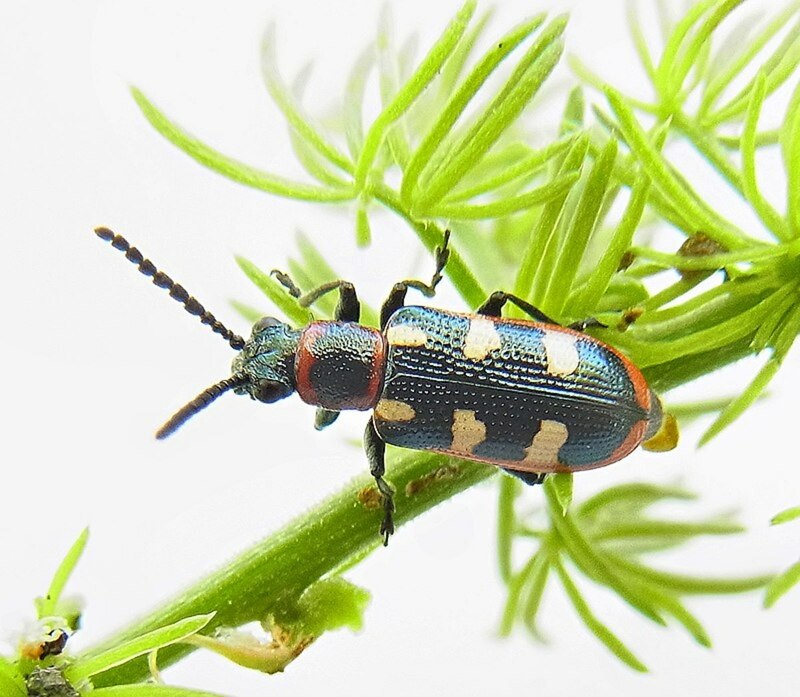 Spotted asparagus beetles are also ¼ inch long with bright orange bodies that have 12 black spots. They are often confused with lady bugs. Spotted asparagus beetles and common asparagus beetles are related and both only eat asparagus, but the spotted asparagus beetle is less destructive. It appears later in the season, in mid-May and finishes its single life cycle by July. The adults eat asparagus foliage, laying their greenish eggs on the fronds. The eggs hatch into orange larvae which feed exclusively on asparagus berries. 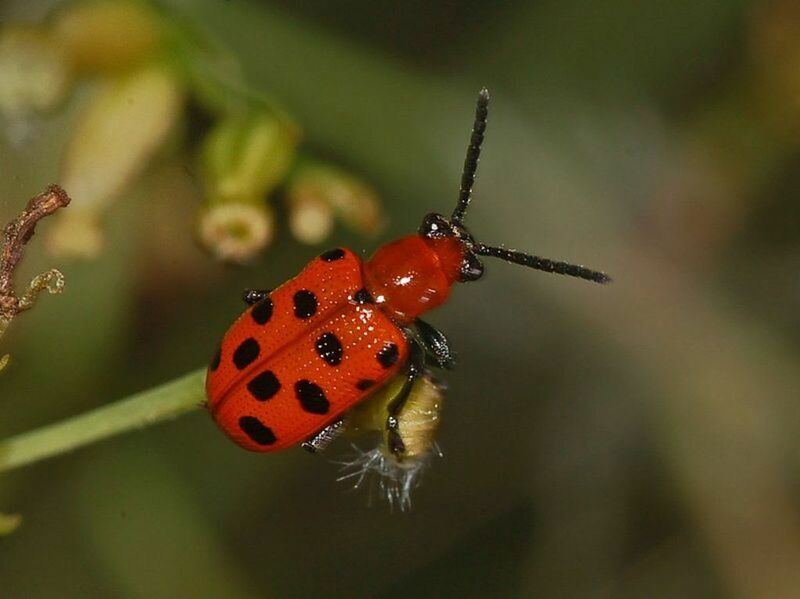 The spotted asparagus beetle is less destructive than the common asparagus beetle because the adults do not eat the spears and the larvae only eat the berries. It is easy to control the spotted asparagus beetles by planting only male asparagus which does not bear berries. As soon as you see damage to the young spears, start looking for beetles. When the spears are being eaten by beetles, they assume a characteristic hook shape. 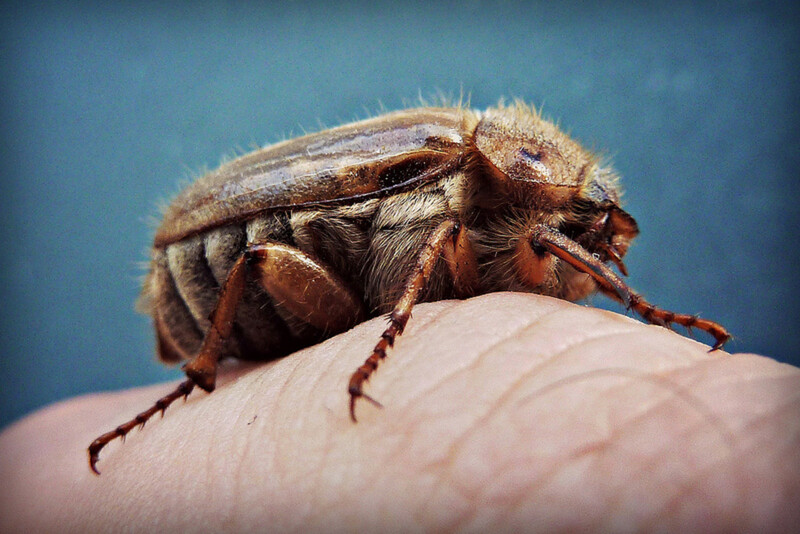 Rather than trying to pick off the beetles one by one, take advantage of their defensive behavior. 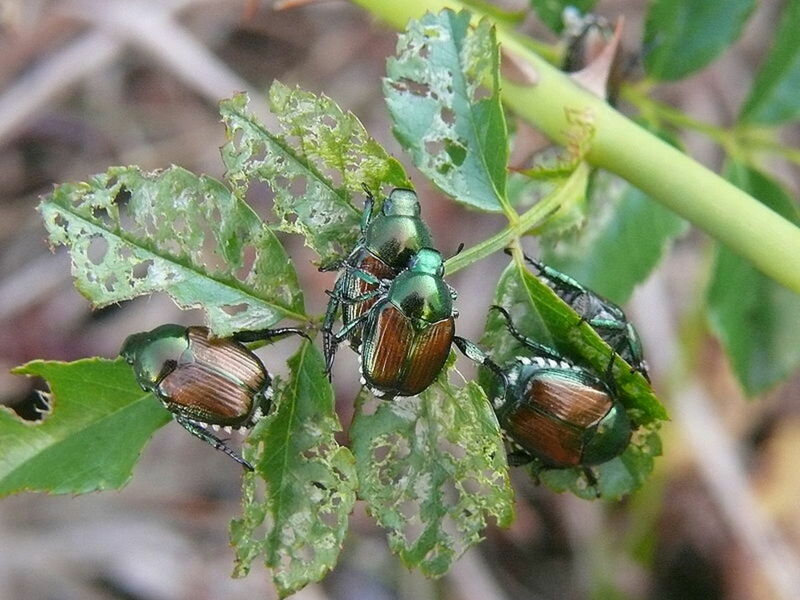 When asparagus beetles are threatened, they drop off the plant and on to the ground. Fill a bucket or pan with soapy water and place it under your asparagus plant. Then gentle shake the plant. The beetles will drop off into the soapy the water. Since both types of beetles eat asparagus foliage which appears after the spears, harvest the spears as early as possible. As you do, run your hands along the remaining spears to remove beetles and their eggs. Not everyone thinks that asparagus beetles are bad. Lady bugs consider the larvae a delicacy. You can purchase lady bugs to release into your garden to eat the larvae. Be warned, though. The lady bugs will only stick around as long as there are larvae to eat. 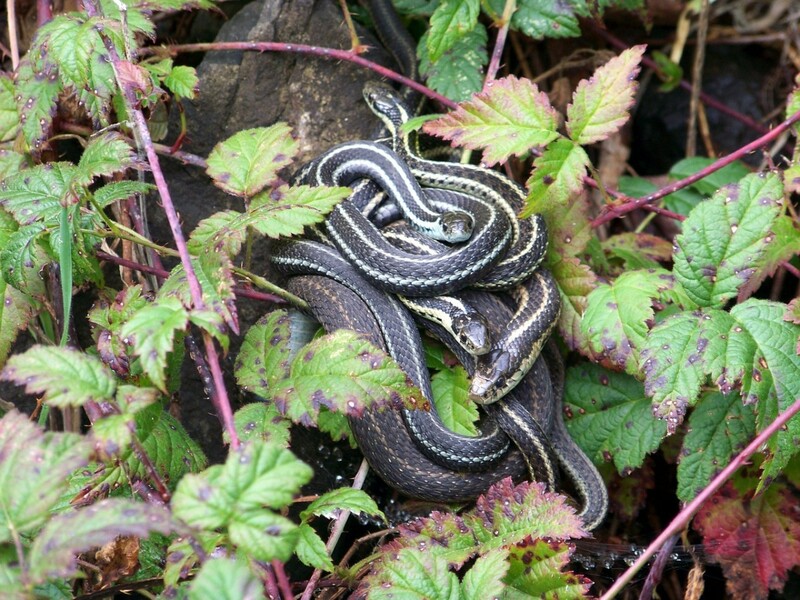 When their food supply runs out, they will leave your garden and go elsewhere to seek out something to eat. Predatory wasps are another insect that are beneficial to your garden. Tiny black eulophid wasps eat asparagus beetle eggs in the spring and then later in the season lay their own eggs inside of the beetle eggs. 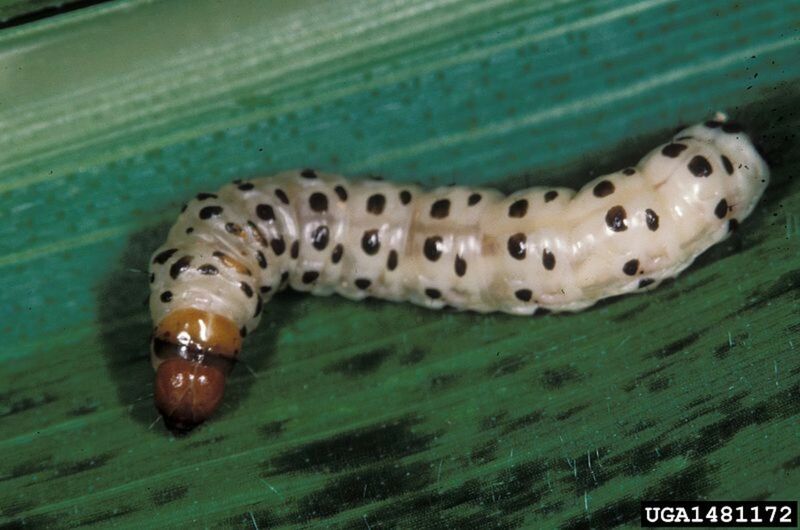 When the wasp eggs hatch, the resulting larvae eat the beetle eggs. Unfortunately, these wasps are not available for purchase and release into your garden. They are present in most areas so they will find their way to your asparagus patch. The early bird gets the worm, or in this case, both the larvae and adult. Because asparagus beetles are active during nesting season for birds, they make a handy source of protein for hungry nestlings. Create a bird friendly environment in your yard with lots of nesting areas and at least one source of water to encourage birds to move in. If you must spray, use neem oil. It is an oil that is derived from the neem tree. It is safe for use on food plants because it has a half-life of one to two days. Neem acts as a hormone disrupter in insects, killing them. It is non-toxic for humans and pets. Don’t use neem oil on your asparagus plants if you see tiny black wasps on them. You don’t want to kill them. They are busy eating the eggs which are not effected by the neem oil. A good garden cleanup in the fall will prevent adult beetles from hibernating in your asparagus patch over the winter. Always cut down and remove dead plants and foliage. Throw it into your composter to make nutritious compost for next year. If there is no dead plant material for the adult beetles to hibernate in, they will be forced to burrow into the soil where underground predators will eat them. As an extra measure of protection, till a perimeter area around your asparagus patch. 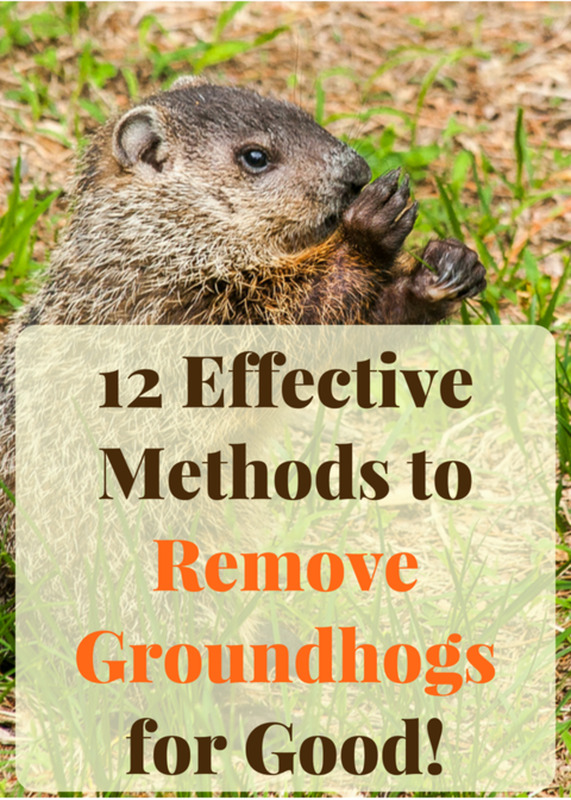 This will kill any hibernating beetles.